To help plan your "Trip Back in Time..."
Location: The Festival is seven miles east of Apache Junction on US Highway 60. Tickets: Advance tickets can be purchased at Fry's Food Stores statewide. Advance discount tickets available at Fry’s are $26 for adults, $16 for kids ages 5 –12, and children under 5 are always FREE. Tickets purchased at the Festival Box Office are $2 more. Discount tickets for seniors (60 and older) are $25, only available at the Festival Box Office. 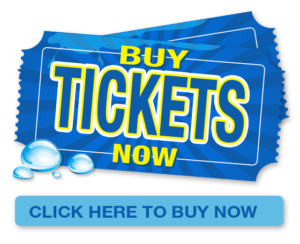 Click here to purchase tickets ONLINE NOW. 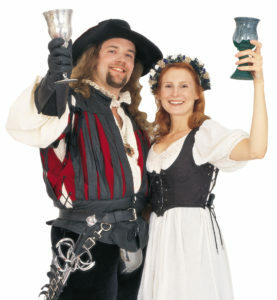 What is the Renaissance Festival? The Renaissance Festival is a medieval amusement park, a 14-stage theatre, a 30-acre circus, an arts and crafts faire, a Jousting Tournament and a feast, all rolled into one non-stop, day-long, family adventure! What are the dates and hours of the Festival? The Festival is open Saturdays, Sundays and Presidents' Day Monday, from February 9th through March 31st, 2019. Festival hours are 10:00 AM until 6:00 PM. What does the admission price include? Free parking, all entertainment shows, including the Tournament Jousting and Birds of Prey show. You may choose to purchase arts and crafts items, food or beverage, or enjoy some rides and games (costs vary). Can we bring outside food and drink? You may bring one - 16 to 24 ounce factory sealed bottle of water in with you. No other food or drink is permitted. Can we leave the Festival and go back in later that day? As you exit the front gate, you may have your hand stamped in order to re-enter the Festival that same day. Is the Festival wheelchair accessible? The Festival is held in a natural, outdoor setting. Wheelchairs and motorized wheelchairs are allowed. We have disabled accessible parking, disabled accessible restroom facilities and special seating at our Jousting arena. Does the Festival rent wheelchairs or strollers? Stroller, wheelchairs, wagons, and motorized scooters (300 lb. weight limit for scooters) are available to rent, on a first-come, first-serve basis, weather permitting, at the Belrose Costume Shop located just outside the Festival Main Gate. Prices are: Wagons $15, Strollers $14, Wheelchairs $17 and Motorized Scooters are $9.50 per hour with a 4 hour minimum or $55 for the day (tax is included in these prices). Are pets allowed at the Festival? We do not allow pets to be brought into the park by visitors because of the great variety of performing animals in the Festival. Can we come in costume? You are welcome to come dressed in costume and costumes are available for rental at the Belrose Costume Shop located behind the box office prior to entrance to the Festival. Prices vary based upon costume choice. Costume swords and daggers are permitted as long as they are properly sheathed and peace tied. Wear comfortable shoes. Attire: The Festival is an outdoor event. We suggest you dress for the day’s weather and wear comfortable walking shoes. We reserve the right to refuse entry to anyone dressed in a manner that may be deemed by Festival management as offensive. No clothing with written obscenities, violent or sexual images, excessively revealing or transparent fabrics, and offensive symbols. Shirts and shoes are required. Are we allowed to wear weapons? Costume swords and daggers are permitted as long as they are properly sheathed and peace tied by our safety services personnel at the main entrance. What happens if it rains? We are open rain or shine. It is extremely rare that we close on an event day. In the extreme event of a closing while you are attending, contact the Festival ticket office. Rain checks will only be considered in the event of a CLOSING. Is there an ATM? Yes, we have 8 ATM locations across the Festival grounds. Drones: No drones are permitted at the Festival. Don't miss out on Your Best Day Out in History!